If you have not witnessed firsthand a cat's reaction to the Flying PurrSuit or Da Bird cat toys then you have no idea what you are in for! 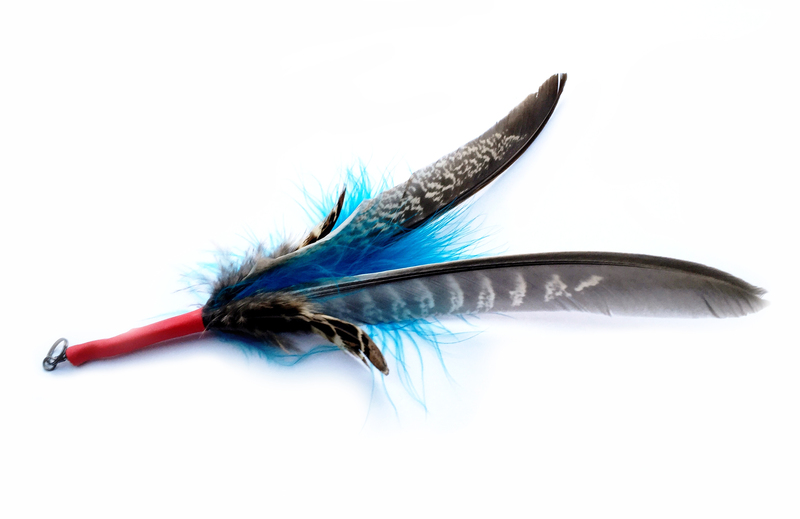 These are no ordinary feather on stick toys! The feather refills are aerodynamically configured to spin through the air simulating a flying bird and for your cat look and sound like the real thing! Cat's Adore them! Most invigorating innovative cat toys currently on the market with over 50 different prey attachments. Retail Customers Introductory offer – 10% off your 1st order! Enter "purrs" coupon code on checkout (please ensure you enter the coupon code word purrs exactly as shown ie with lowercase letters or the code will not work. Thanks). We supply the Amazing PurrSuit & Purrs Cat toy range for trade customers, Please contact us for a Trade account & Prices. For those who have not seen the worldwide internet craze for these toys, The Flying PurrSuit and Da Bird are high quality, durable, interactive toys that cats just Adore! The Rolls Royce of feather cat toys, not only because to a cat the feathers look, sound and feel like bird wings which mimic a real bird in flight but also because the construction quality is superb. A single bob of The Flying PurrSuit or Da Bird is completely irresistible to cats! Recommended by veterinarians as a great way for a cat to exercise, bonding and in play therapy for behaviour issues. Toys that have to be hidden when not in use! 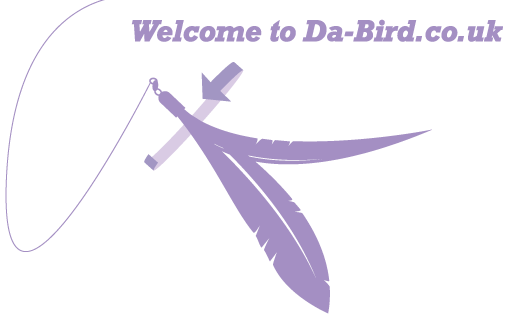 The Da Bird 2 part easy store rod consists of 2 x 18" fiberglass rods that connect together with a 50 lb test braided black nylon cord (32” long) and aerodynamically configured real Guinea fowl feathers set on a swivel. Handcrafted/Assembled in USA. 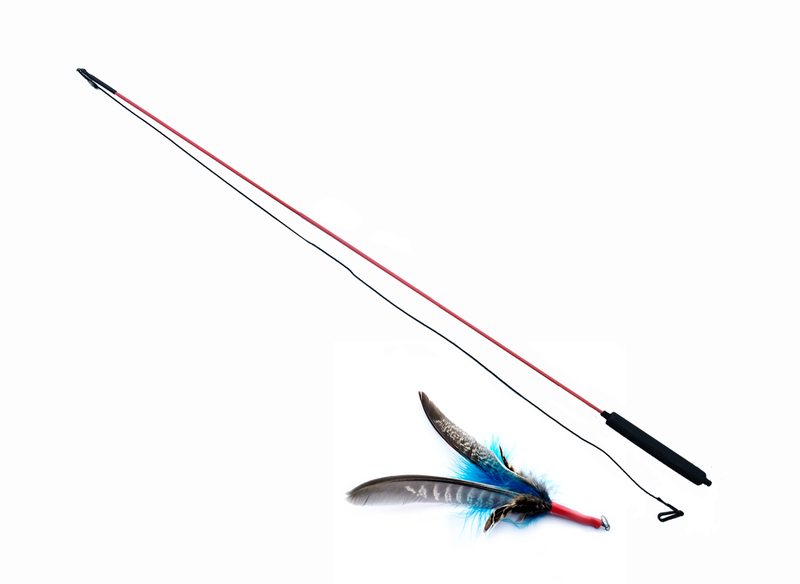 The Flying PurrSuit has a single length long 39" or shorter 19 inch rod with swivel hook on top, made from fibreglass for strength, durability and fully rubber coated in a red sheath to eliminate any possibility of fibreglass splinters. A 1 meter long Black strong cord is attached to the rod's top swivel hook so can be replaced easily with your own cord or you can buy replacement cord packs. 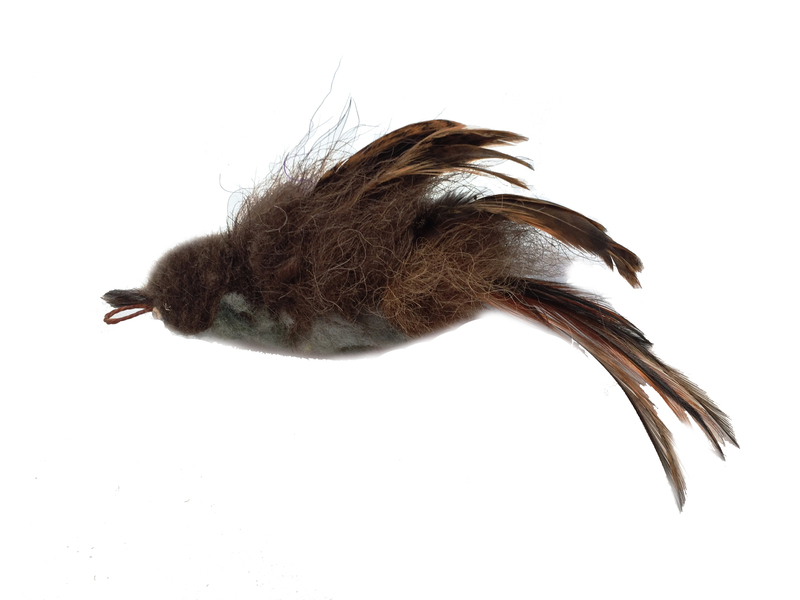 The rod comes with a PurrSuit Pheasant feather spinning refill. Handmade in the UK using UK sourced ethical materials from free roaming game birds living a natural outdoor life before entering the food chain. There are many other different attachments to add long term variety and interest for your cat all compatible with either rods - Simply clip on to Play. In The Da Bird Range - Da Sparkler, Da Kitty Puff and Da Super Feather refill. Fibreglass Splinters - The entire wand is completely covered in a rubber coating to stop any splinters. 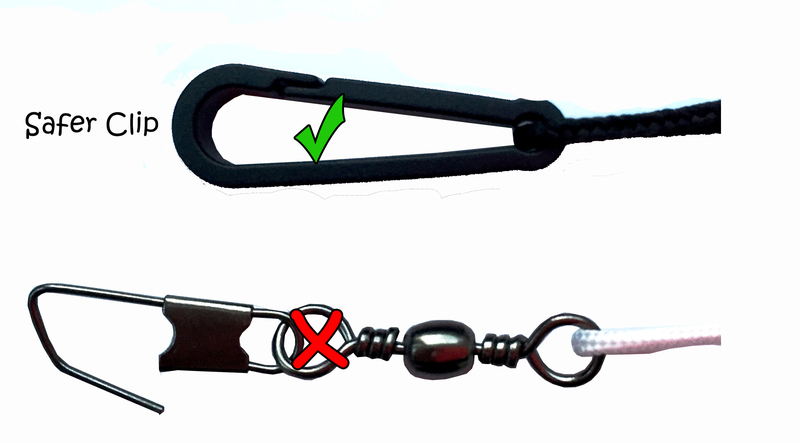 Safer Plastic Clip - Other other manufacturers use a metal clip with a metal pin at the end of the cord to attach the prey toys. The PurrSuit has a strong plastic clip with no sharp pin for safer play near the cat. Soft grip Handle - More comfort to hold with a soft grip handle. Cord Tangling - The cord is attached by an extra swivel eye at the very tip of the wand so less likely for the cord to entangle around the wand. You can also replace the cord with one of your own easily. Damaged Cords & Clips - Replacement cord pack (available separately) instead of buying a complete new toy. Wand Falling Apart - Wands are a one piece construction. Play Therapy - How to use the Flying PurrSuit or Da Bird Cat Toys to help with behaviour issues. You've probably seen your cat perched in the window watching real birds. With the Flying PurrSuit or Da Bird Cat toys, let the cat follow a pattern of flight around the room long enough to get completely involved in it: with rapt attention, tensing muscles, and a little twitch of the tail. Talk to the cat in a light praising tone. At some point, swoop the toy close enough for the cat to make a grab. When he catches you, play dead, but keep gentle tension on the string. When the cat relaxes, you make your escape! Fly around a bit, then allow yourself to be caught again. This whole routine can be repeated, of course until the cat is finished. But watch out for the "second wind!" This routine should truly tire the cat out. It is recommended to let your cat rest in between play. 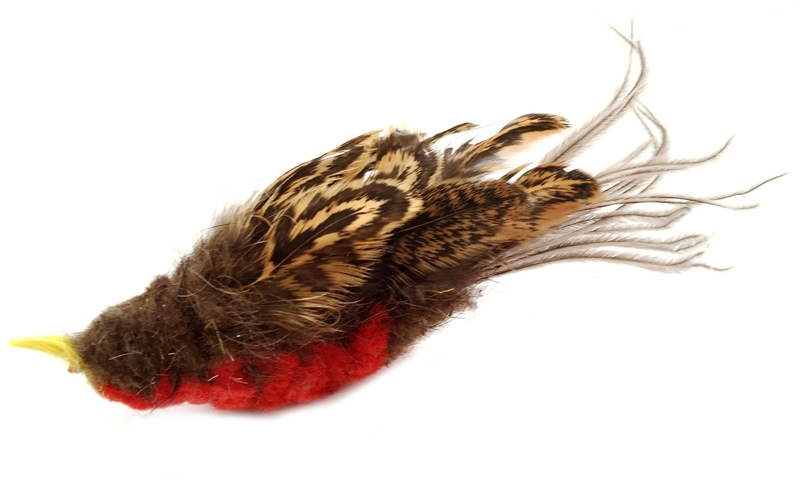 Single Feathers can be used to satisfy the cats catch instinct and the kill chew instinct. The final step is a high protein snack. This completes the natural cycle of hunt-catch-kill-eat. Once the sessions are over, put away the special play therapy toys or your cats will hunt them down! Regular daily play therapy work will make your cat happier, more confident, help lose weight and less likely to manifest stress in unpleasant and unwanted ways. 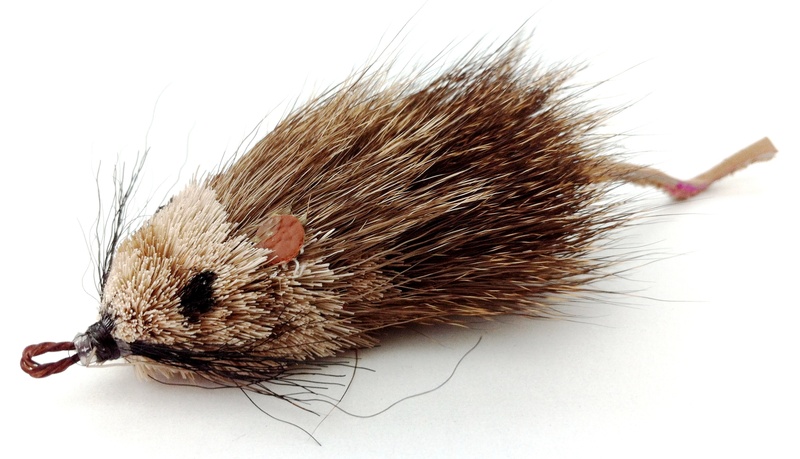 There are also other bestselling, quality cat toys your cat Actually want to play with! 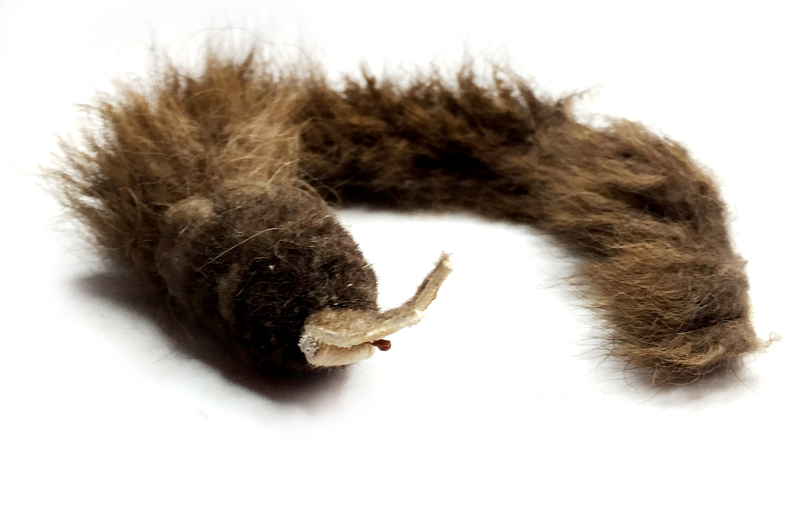 - Long Teaser Toys, Potent Herb Mix Fake fur toys and much more available in our shop at Purrs In Our Hearts.